EconomicPolicyJournal.com: Is Gary Cohn About to Resign From His Position at the White House? Is Gary Cohn About to Resign From His Position at the White House? 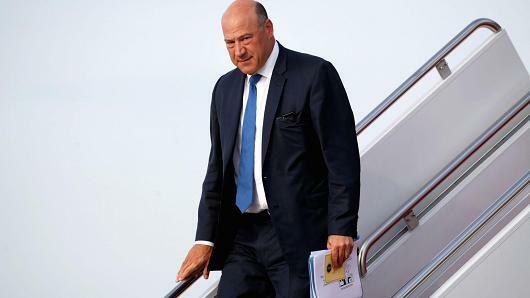 President Donald Trump is unlikely to nominate Gary Cohn, his top economic adviser, as the next Federal Reserve chairman, reports The Wall Street Journal. The shift in Cohn’s prospects for the top Fed position arises largely from his criticism of Trump’s response to the violence in Charlottesville, Va., sources told WSJ. I am told that Kudlow's name is circulating on an early list of possible candidates that could replace Cohn at the White House. Kudlow is not perfect but on the list of the likely candidates, he is the best. He might even listen to us Austrians once and awhile, might.